The iPhone X logic board is a whole new animal. 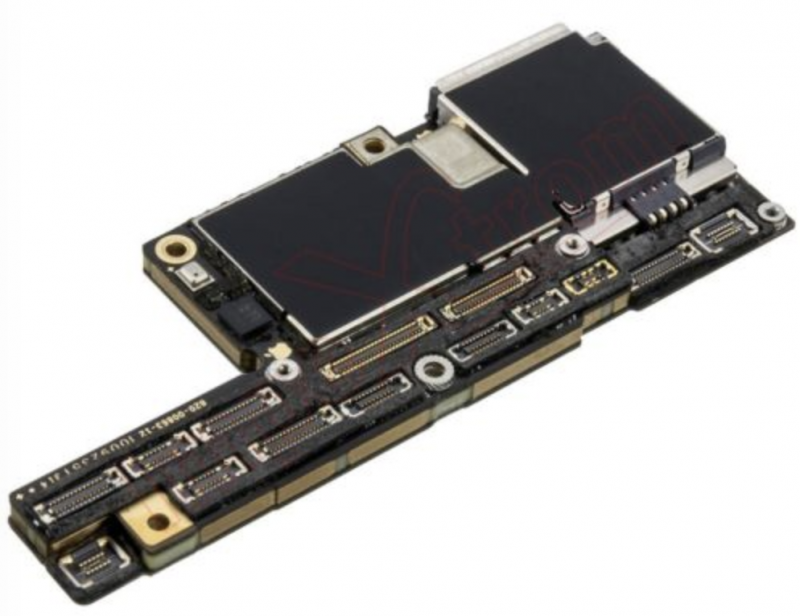 All of the iPhone logic boards prior to the iPhone X were one piece: The iPhone X logic board on the other hand is made up of two pieces held together by a middle connector ring, which is soldered to both separate logic boards. The top logic board contains the CPU, display system, cameras, and logic for most of the accessories. The bottom logic board contains the logic for the touch system, wifi, and cell service. 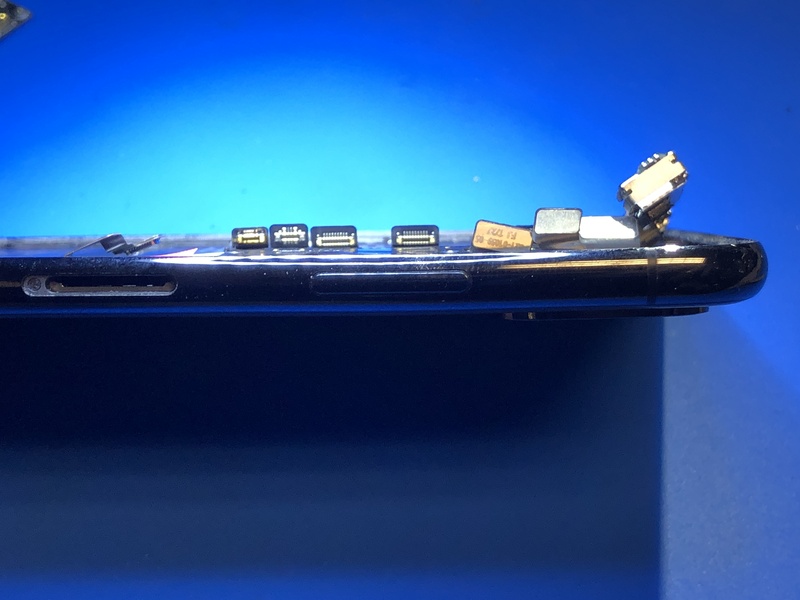 It’s obvious that Apple’s design was to save space within the iPhone housing, so that they could make the battery capacity bigger, since the battery takes up more than half of the real estate in the housing. 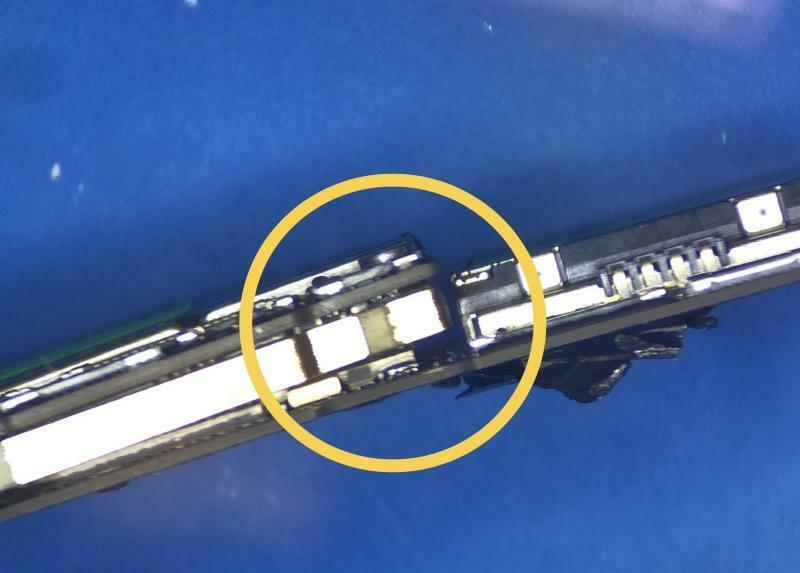 The one thing that has been causing most of the logic board problems on the different iPhones is the fact that housing bends most of the time. 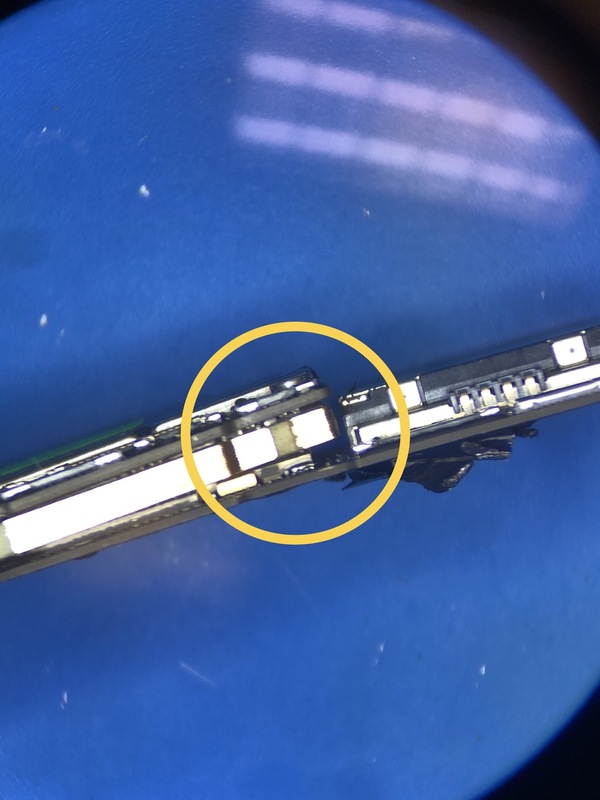 The logic board is held into place with screws tightened to the housing, so any bending of the housing also causes bending to the logic board. 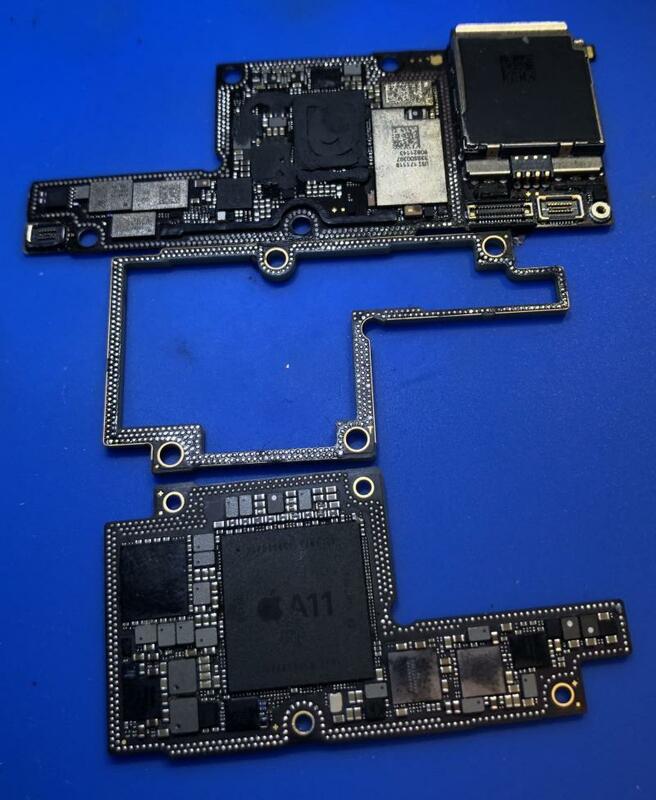 The picture above is an image of the two logic boards and the middle connector ring. Notice that the three pieces are separated from each other near the middle. This means that the solder joints have disconnected from each other. 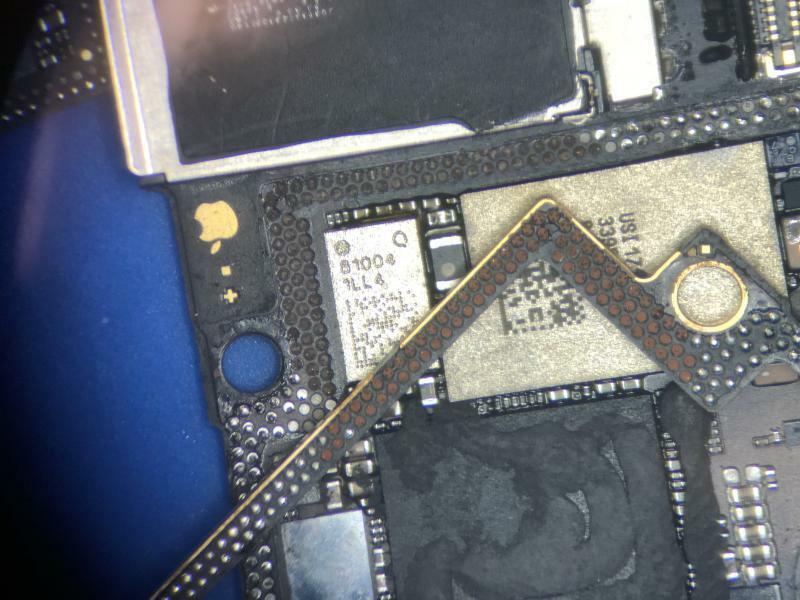 As you can see in the picture below, when the two logic boards have disconnected from the middle ring, you’ll often see missing pads. In this case, there are many missing pads. Unfortunately, there is no easy way to run a jumper under a chip to a missing pad. 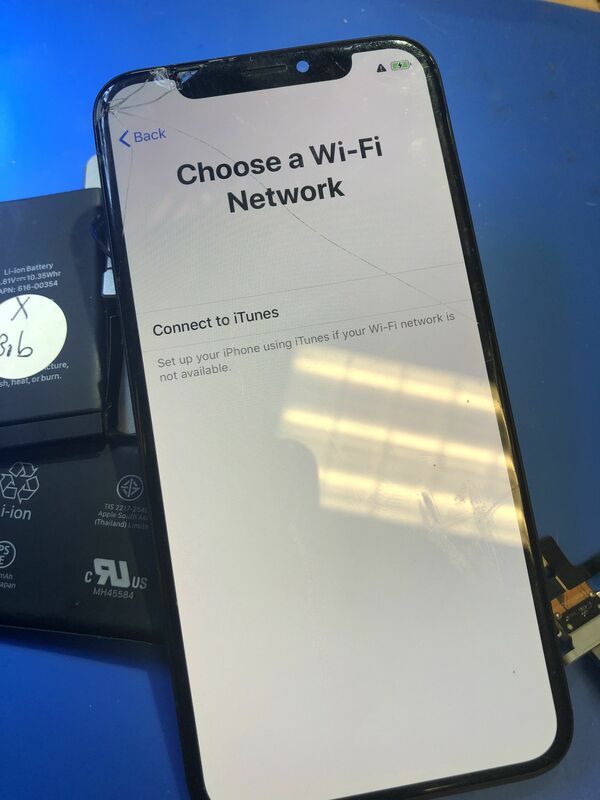 One option would be to transfer the wifi chip (UWLAN_W) and the baseband chip (cell service) to another donor logic board, but doing that itself is no easy task. And the last thing is, how could anyone warranty this type of repair? 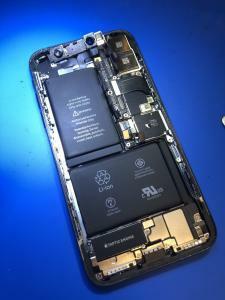 If a repaired iPhone X comes back in as a warranty repair, it would most likely take a few hours to try to fix again. 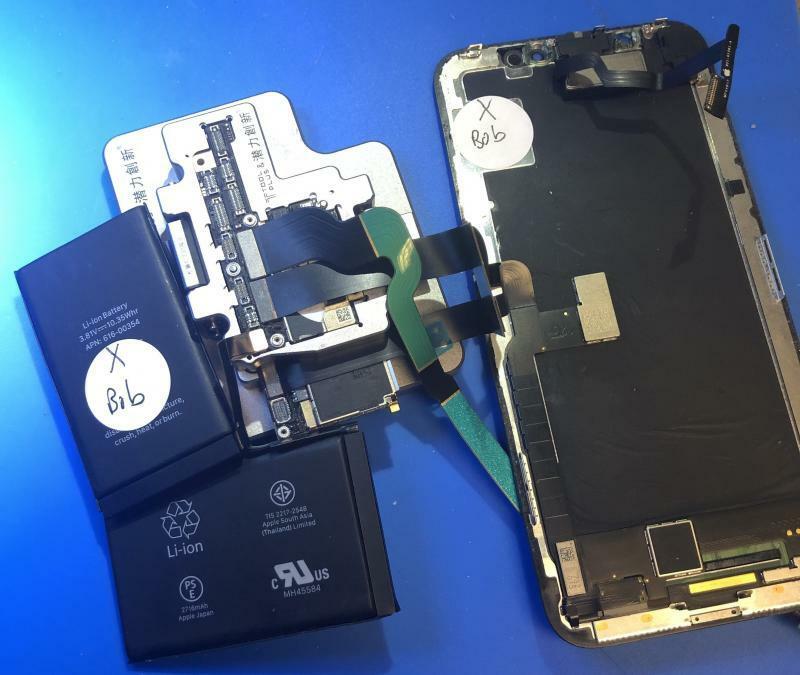 With all things considered, I don’t see an easy way to repair the iPhone X. However, data recovery is a different story. 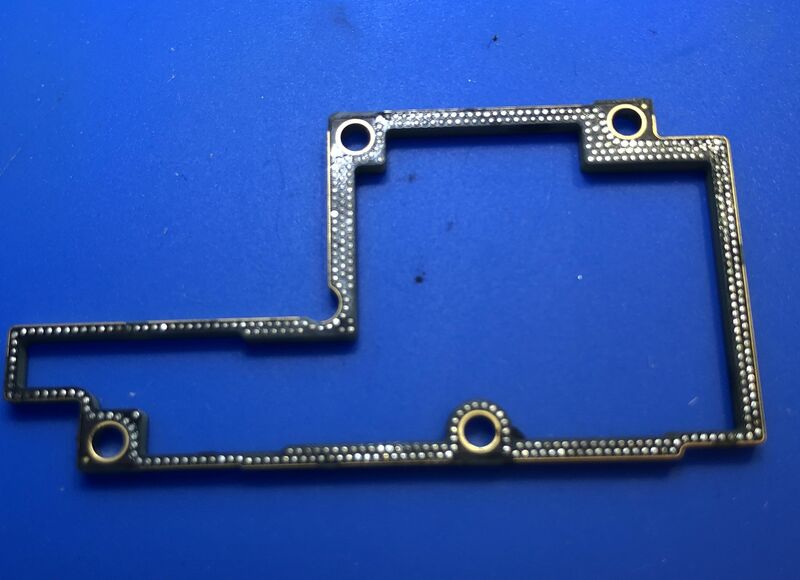 Separate the top logic board from the middle ring and bottom logic board. 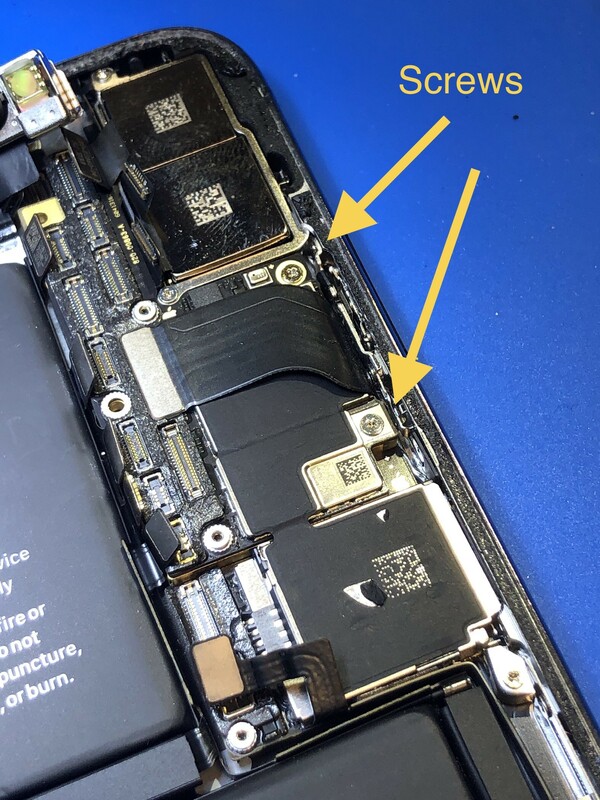 Place a known good bottom logic board/middle ring into an iPhone X jig (e.g. 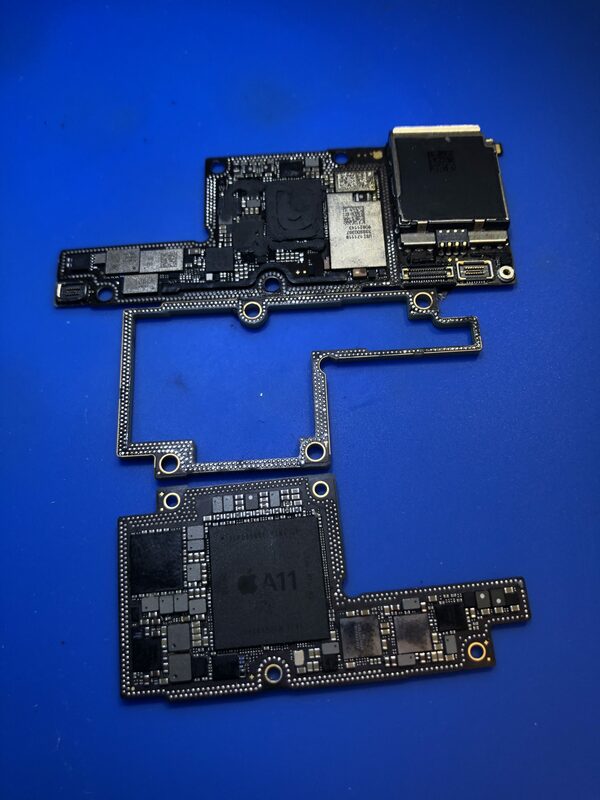 iSocket, JC TX-BAS) and then attach the top logic board. Boot up the phone with a known good screen, charge port, and battery. Do a backup into iTunes. 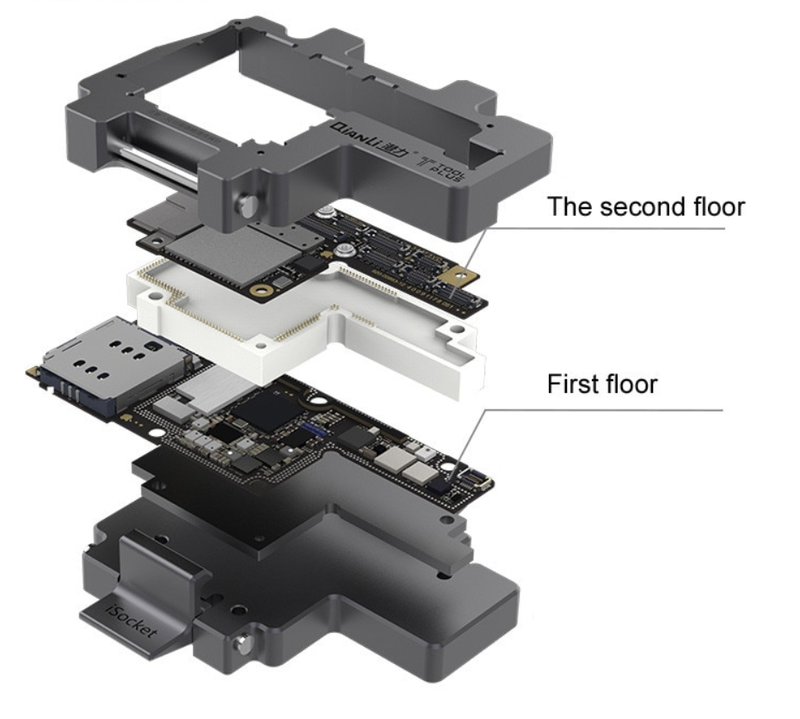 This is a setup of the actual jig hooked up to our donor iPhone X logic board with battery, screen and charge port. 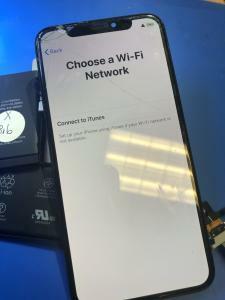 Using a different bottom logic board prevents the wifi and cell service to work since the original cell service and wifi chips have to be used in order for them to work, which is why you see the triangle icon at the top right and no wifi networks to connect to. 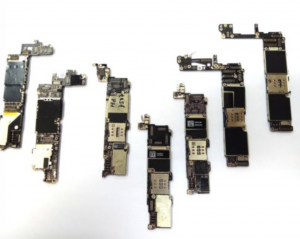 Unlike previous versions of the iPhone, the path to data recovery on the iPhone X is actually easier than repairing the logic board. 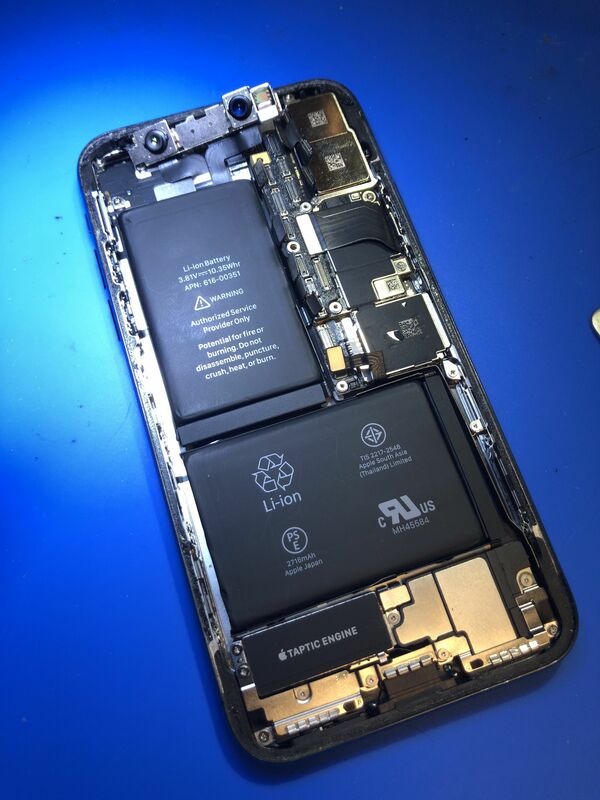 In terms of repair, at this point, I don’t see a feasible solution to repairing the iPhone X due to the amount of time that it would take to diagnose and repair. And I don’t think anyone would logically want to warranty any type of repair on the iPhone X. If you would like to your data recovered on the iPhone X, then please contact us using the request a quote form. 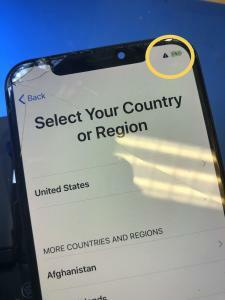 If you want your iPhone X repaired, then you can still contact us, but understand that data is the only thing that we would be able to guarantee.